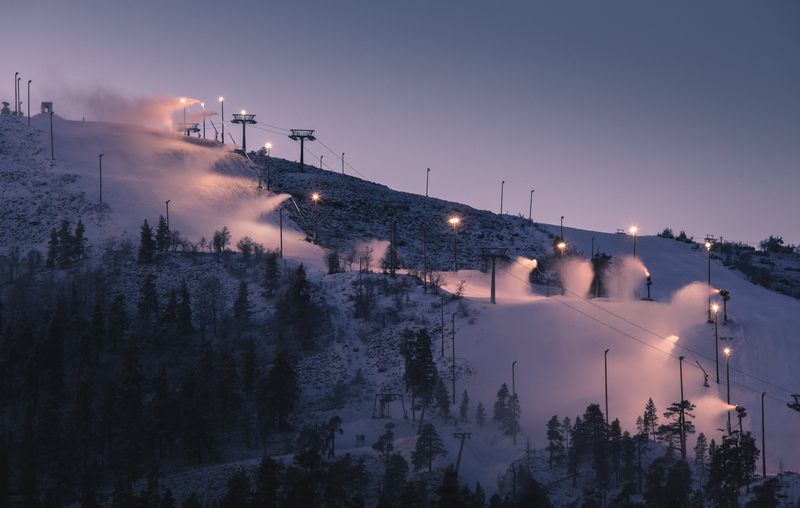 Finland has the cleanest air in the world – and that’s a fact! 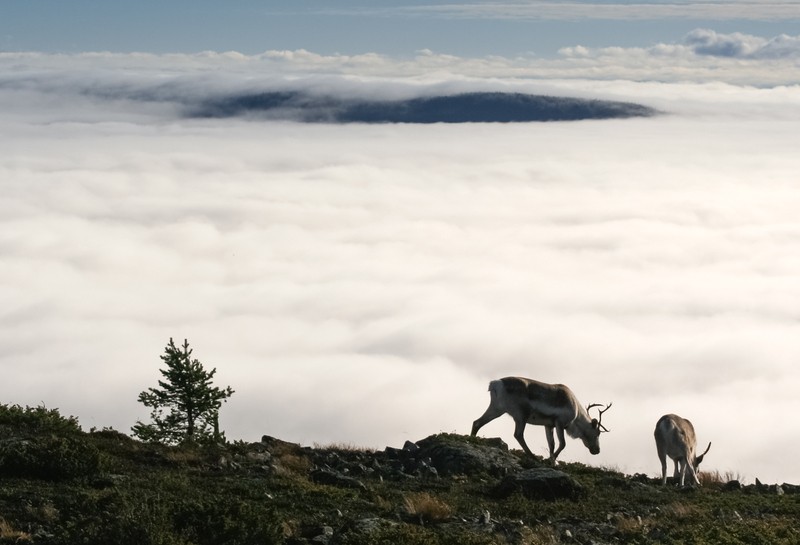 The cleanest air in the world is in Finnish Lapland. 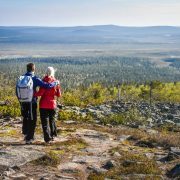 It is proven that the world’s cleanest respiratory air is in the Muonio municipality of Western Lapland. In Muonio, there are only 4 microgrammes of particles of under 10 micrometres in a cubic metre, while in the world’s dirtiest city, Nigeria’s Onitsha, there are almost 600 microgrammes. The database for 2016 of the World Health Organisation (WHO) reveals that the clean localities in the world are usually small, affluent and located far from industrial areas. Other particularly clean localities are Norman Wells, Canada, Campisábalos, Spain, and Converse County, United States. The WHO list took into account the mass concentrations of fine particles whose diameter is less than 10 micrometres (PM10). The diameter corresponds to a seventh part of a hair’s thickness. Particles of under ten micrometres travel with respiratory air into the human bronchi. 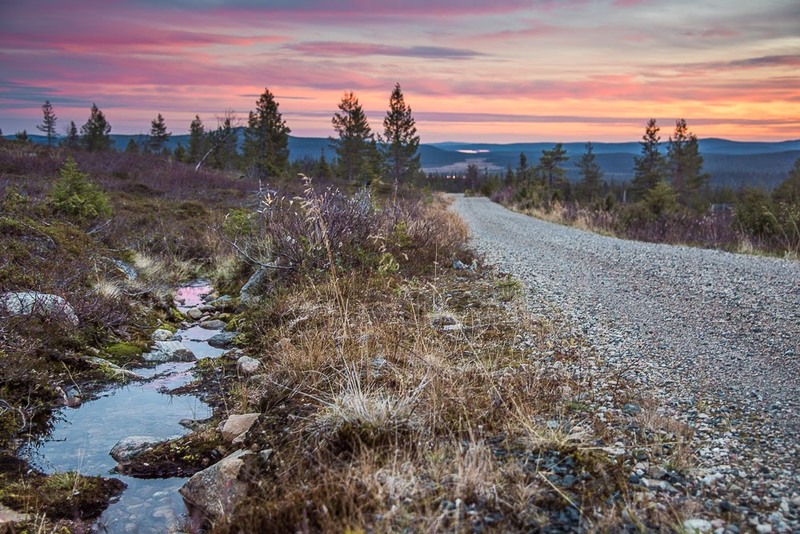 Finnish Lapland has the cleanest air in the world. According to the WHO’s recommendations, the annual average of PM10 particles should be a maximum of 20 microgrammes per cubic metre. According to the WHO’s statistics, the levels fall below that everywhere in Finland, even in big cities. According to the WHO, there was an average of 12 microgrammes per cubic metre including in Finnish urban areas in 2011. In India, the corresponding quantity is 134. Only a tenth of European urban population enjoys air as clean as this. Air quality can be considered particularly poor, if the average of the mass concentration of particles of under 10 micrometres exceeds 100 microgrammes during an hour. More dangerous than PM10 particles are fine particles of a diameter of 2.5 micrometres. Their amount per cubic metre should not exceed 10 microgrammes. In the world’s cleanest place, Muonio, the annual average for 2.5-micrometre particles is only 2 microgrammes. 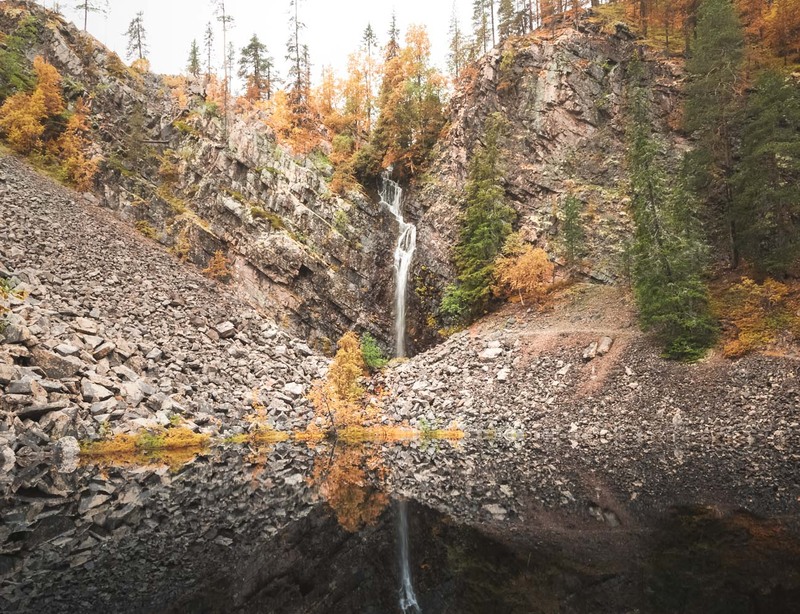 It transpires from the WHO’s data, into which have also been collected the measurement data of fine particles of 2.5-micrometres from 3,000 localities in a hundred countries for the years 2008–2014 that, on average, Finland has the third cleanest air in the world. Only Sweden and Canada top Finland. Finland is followed by Australia, Iceland and Estonia. Air quality in these countries is very clean, that is, an average of fine particle concentrations of 2.5 micrometers fall below 8 microgrammes per cubic metre. Finland’s air quality is excellent compared to the rest of the world. According to senior researcher Pia Anttila of the Finnish Meteorological Institute, several factors influence Finland’s good air quality. 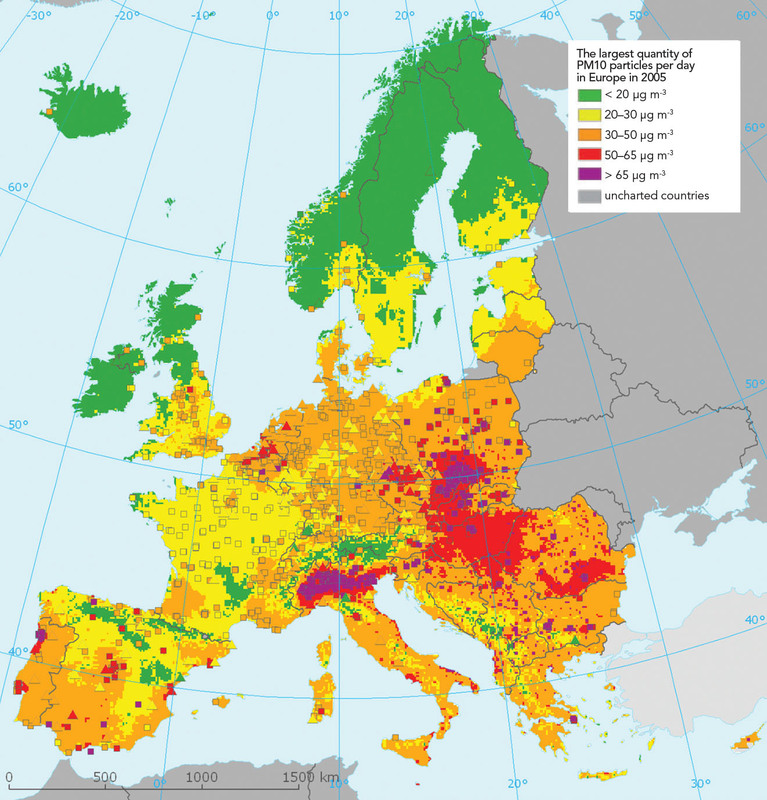 – Finland is located far enough from big European cities, so emissions from long-range transport of pollutants remain low. On a global scale, there is really only one big city in Finland, Helsinki, and even its air quality is excellent. There are also few inhabitants and little traffic in Finland. A very significant aspect is also that Finland has managed to curtail industrial emissions. In addition to good cleaning methods, industrial processes operate with clean technology. Pia Anttila says that people living in countries with clean air do not always understand what a natural resource clean air is. Over 80% of the world’s urban population is exposed to air pollutants exceeding the WHO’s recommended values. Over 3.5 billion or a half of the world’s population live in countries where there is an average exposure to a quantity of particles exceeding the WHO’s limit values. Fine particles and air pollutants cause asthma and aggravate obstructive lung disease and respiratory infection. The great quantity of fine particles also increases the occurrence of coronary heart disease and diseases of cerebral circulation. For example, if the quantity of PM10 particles can be reduced from 70 microgrammes per cubic metre to 20 microgrammes, mortality decreases by 15%. 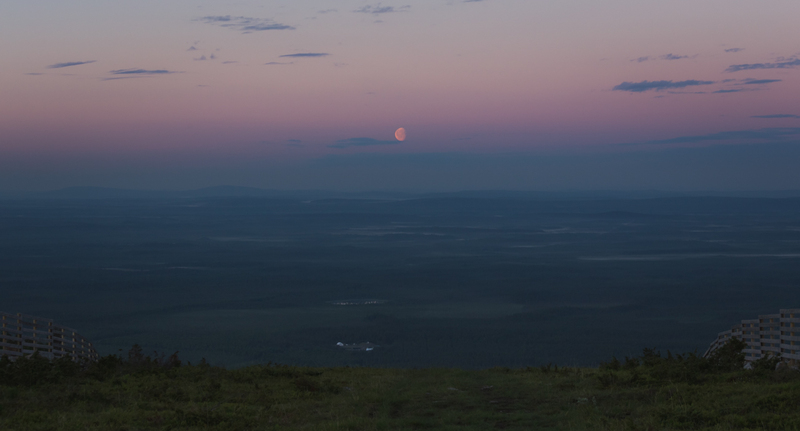 If you want to breathe the cleanest air in the world, this is your destination: Muonio, Lapland. Large African and Asian cities suffer from air pollution. Although the 600-microgramme figure of Onitsha, Nigeria, is huge, the figures are also alarmingly high the big cities of Asia. In Beijing, there are over 100 microgrammes of PM10 particles per cubic metre, in Delhi, India, over 230 and in Riyadh, Saudi Arabia, even over 350. In Helsinki, the corresponding figure is 19. In Muonio, the cleanest place in the world, there are, on the other hand, almost five times less PM10 particles than in Helsinki. 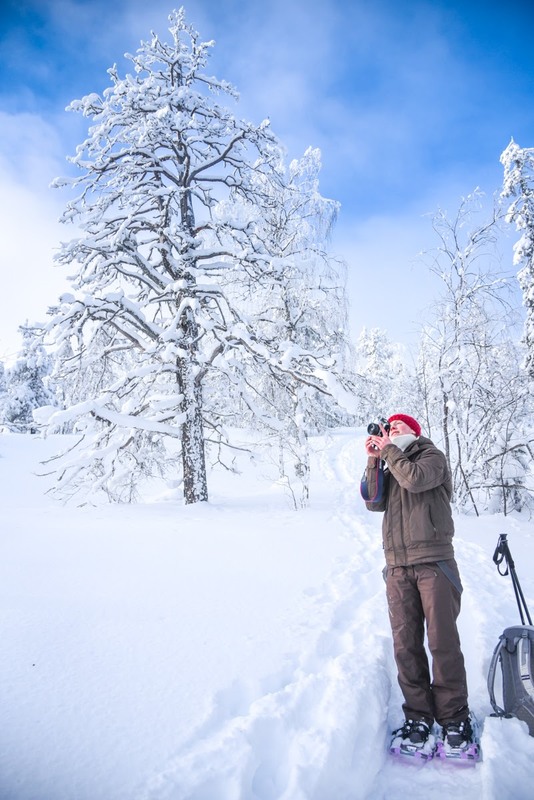 One of the world’s air quality measurement stations is located in the Pallas-Yllästunturi National Park, Finland’s most popular national park. The exceptionally clean air of this measurement station is compared to the data of the world’s other measurement stations. The measurement stations give important data for analysing the state of the world’s environment. 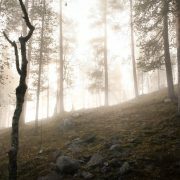 – Finland’s air quality is excellent compared to the rest of the world, particularly Asia, notes Riku Lumiaro of the Finnish Environment Institute. – For example in Beijing you can feel the air pollutants in your lungs on a windless day. You’re also tired and your head aches. 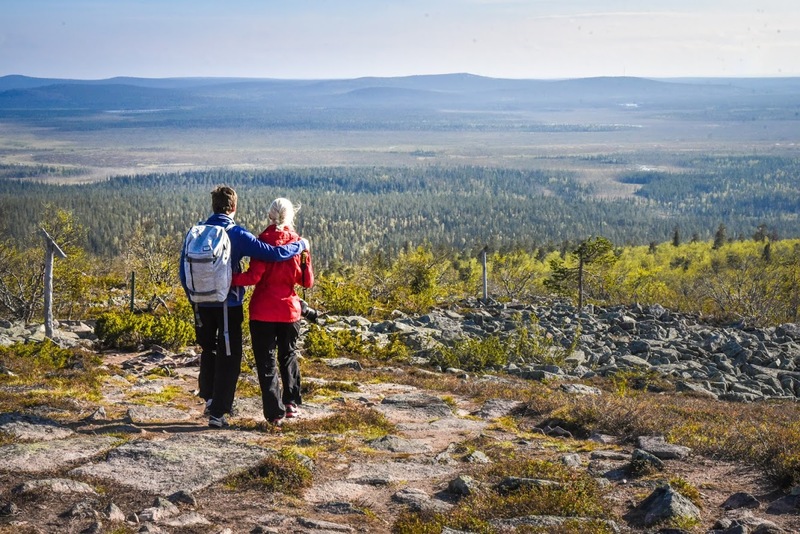 Lumiaro considers Finland a good destination for health tourists. 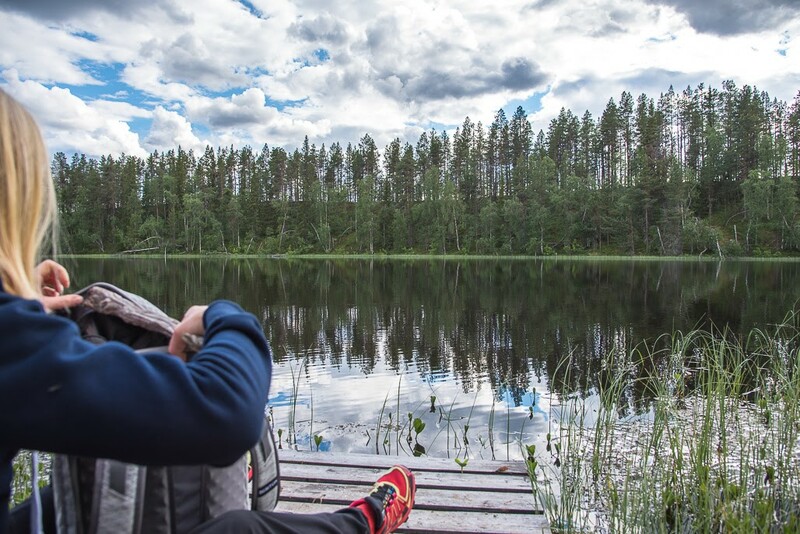 In Finland, the air, the water and the food are clean. 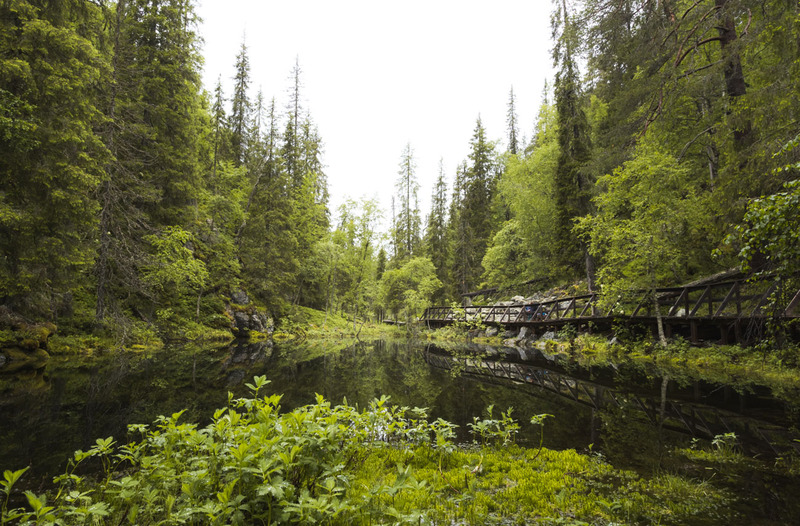 In Lumiaro’s view, a special feature of Pallas-Ylläs-tunturi National Park is quietness, in addition to the world’s cleanest air. – In the spring and autumn, even birds are quiet there. In good wilderness hotels you can peacefully view the spacious fell landscape, which comes into its own in the clear, clean air. 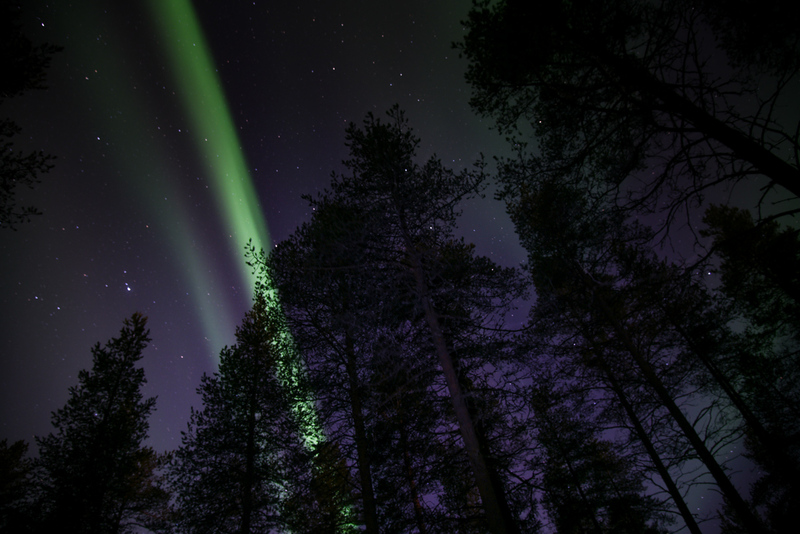 Northern lights are one phenomena which everybody should see at least once in their lifetime. Seeing auroras is always a bit luck. Even if the odds are in your favor, it’s never 100% sure that they will show up. Lights hiding behind the trees. 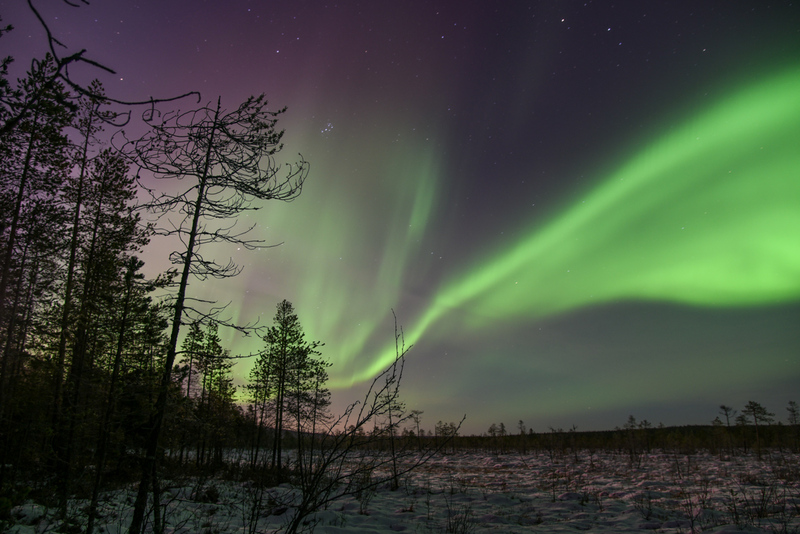 Fortunately Finnish Lapland usually offers pretty good conditions for an amazing light show. 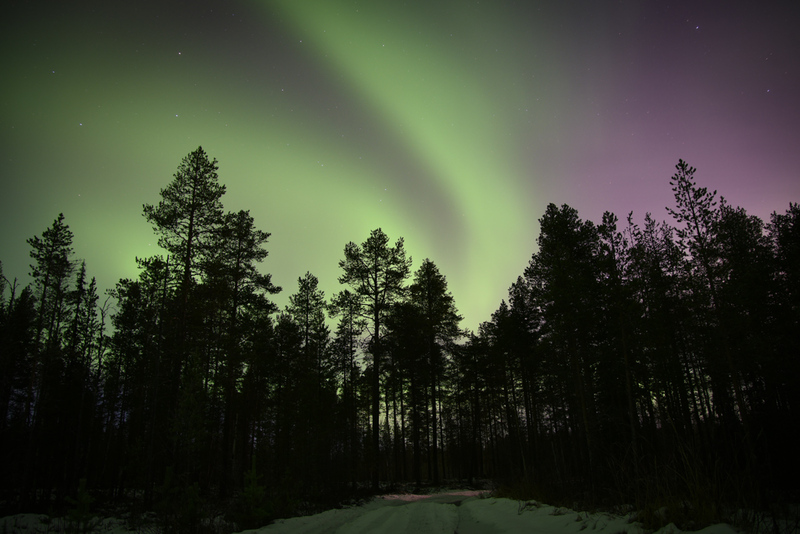 Every now and then Northern lights are visible also in Southern Finland. 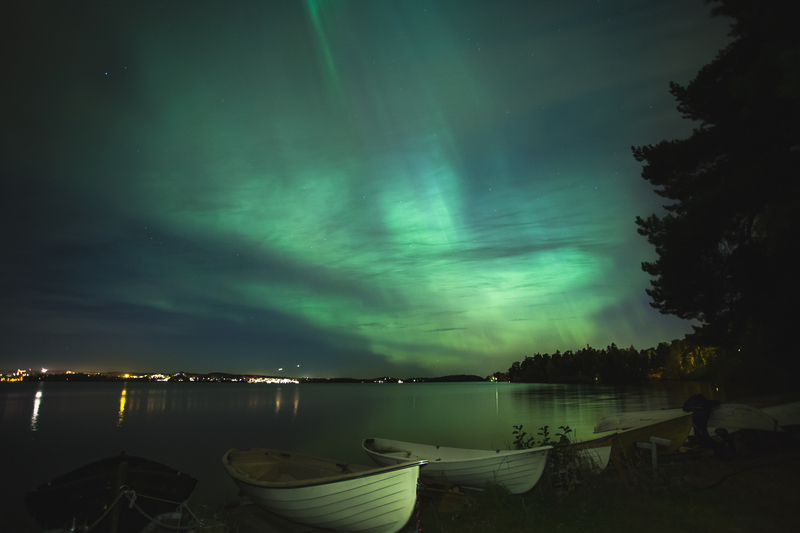 Location: Tampere, Southern Finland. Settings: ISO800, f4, 8sec. Seeing is one, photographing another thing. Here are a few tips that can help you to capture the show. I was photographing sunset and suddenly this aurora show started. Settings: Iso 6400, f4, 2 sec. 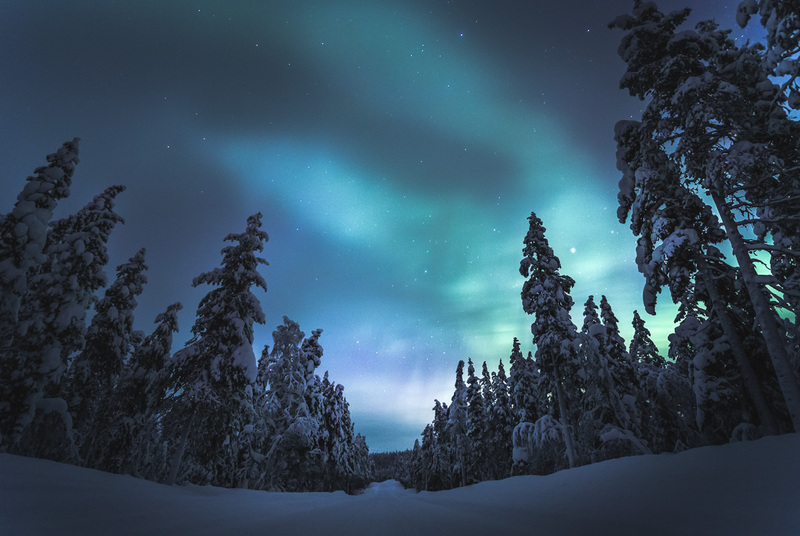 Polar night during the winter offers many hours of darkness, but it’s also cold. Very cold! Like -20 celcius degrees (-4 fahrenheit). Summer is out of the option: There is sunlight 24 hours a day. 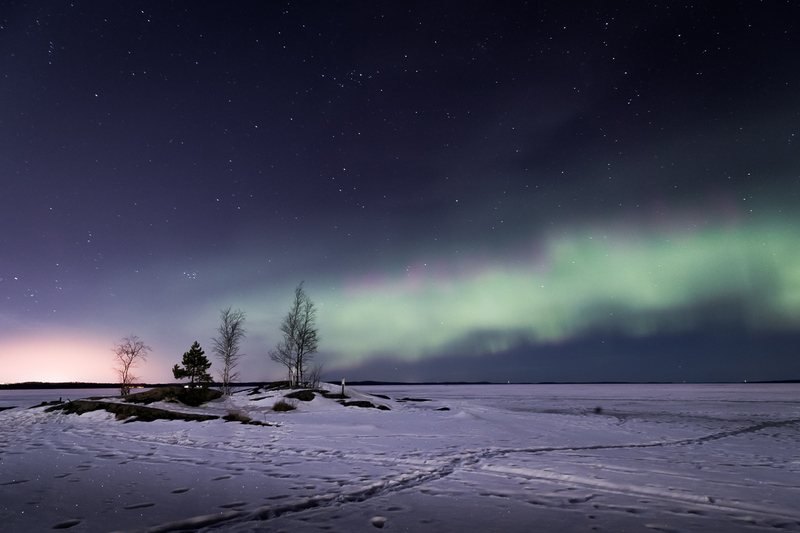 It is completely possible to photograph auroras during winter, but wear proper clothes. Also remember extra batteries. Cold drains them fast. My advice is September and October during autumn, and March to April during spring. Autumn is also time of colors and spring is great for snowy sunset photos. Dim auroras and city lights. Settings: ISO 2500, f4, 25sek. 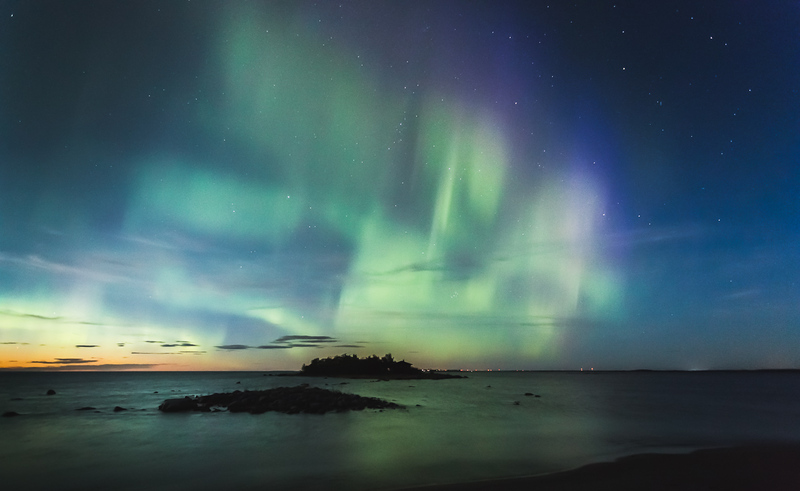 There can be Northern lights during the day, but they are not visible while sunlight is still strong. 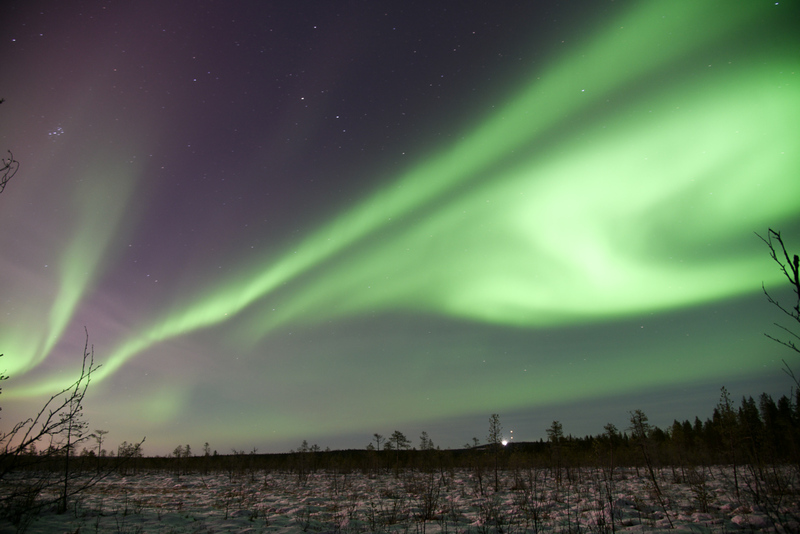 Sometimes powerful Northern lights can be seen after sunset. Find a dark place and wait. Clear skies are also essential. If the clouds are too thick, you can’t see auroras. Be patient. Sometimes even a cloudy night can offer 30 minutes of clear skies and awesome light shows. They might appear in one minute and be gone in the next. It doesn’t hurt to use forecast service like Space weather. 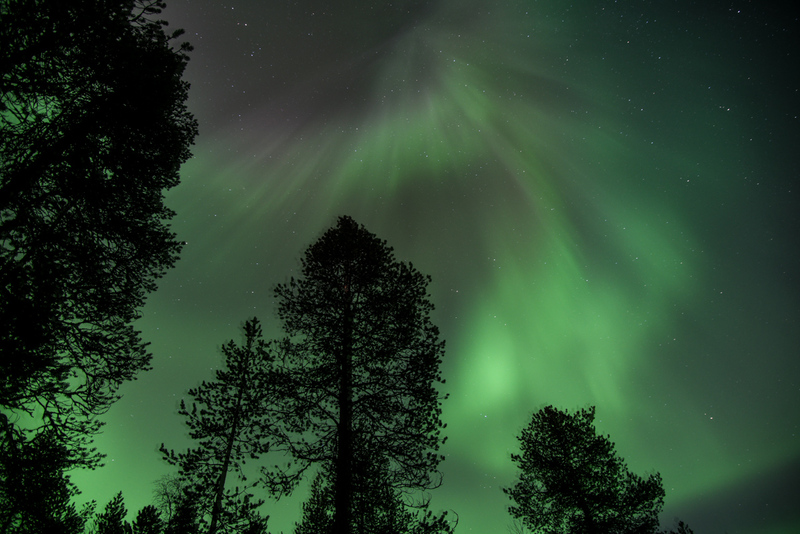 Shallow clouds and auroras in Lapland. Temperature -20c degrees. Settings: ISO 4000, f4, 25 sec. 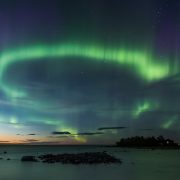 While aurora show can be strong, it’s not as strong as daylight. 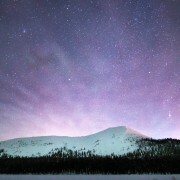 You’ll need to use long exposure, which means holding the camera still for 1-20 seconds. Tripod is great, but you can also use ground or something else to hold the camera in place. And use timer! You don’t want to accidentally move the camera by pressing buttons. 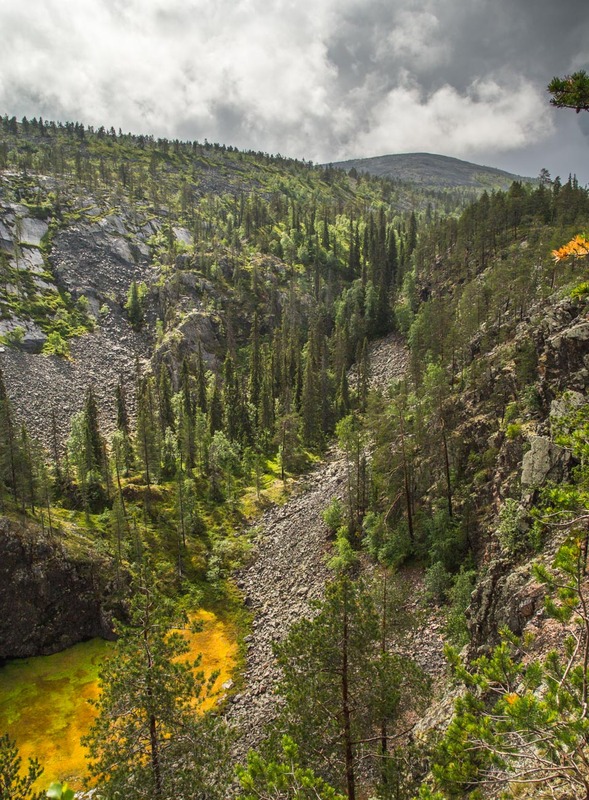 Hossa National Park, Finland. Settings: ISO 2000, f4, 25 sec. The best quality comes with DSLR cameras, but you can get pretty good pictures with pocket cameras and even some cell phones. If you can set ISO, choose shutter speed and aperture, great! If you can’t, it’s ok. With pocket cameras / cell phones, just find a steady place and point to the sky. If you have a night mode and timer, use them. For DSLR I usually start with these settings: ISO 1600, shutter speed 8 seconds and aperture around 2.8 – 4. If lights are moving fast, try shutter speed of 4 seconds. Remember to compensate by lowering or increasing ISO. You can also try 15 – 25 seconds, but too slow shutter speed could mean one messy light ball photo. 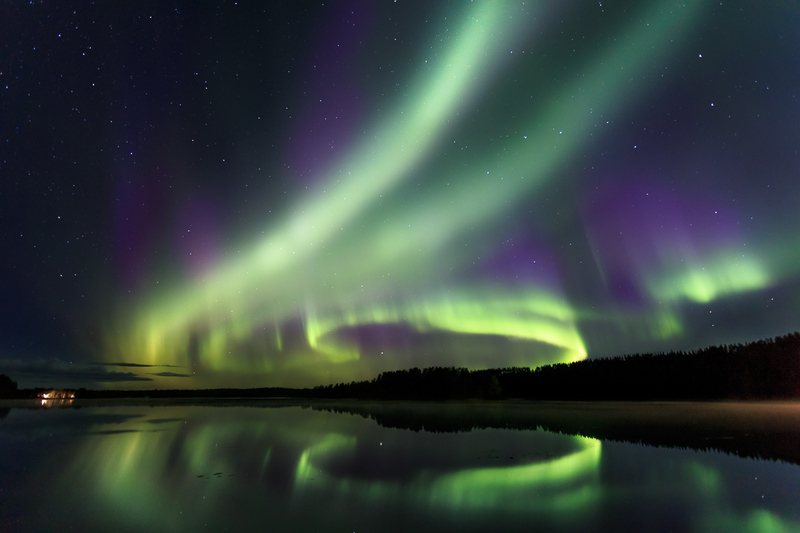 Auroras in purple and green colors. Settings: ISO 1600, f4, 30 sec. 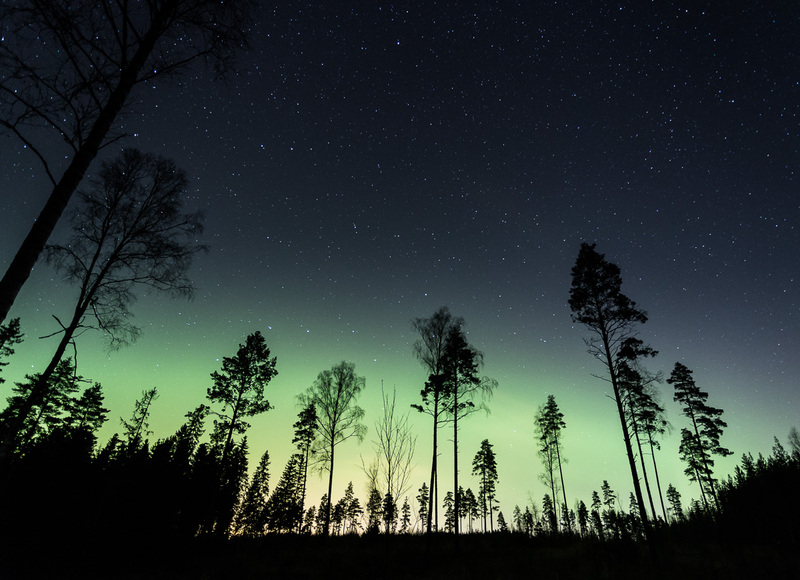 Hopefully these tips help you to capture your own Aurora photos. Please check out my Instagram profile @anttiphotography and comments are more than welcome. Thank you and see you next time! 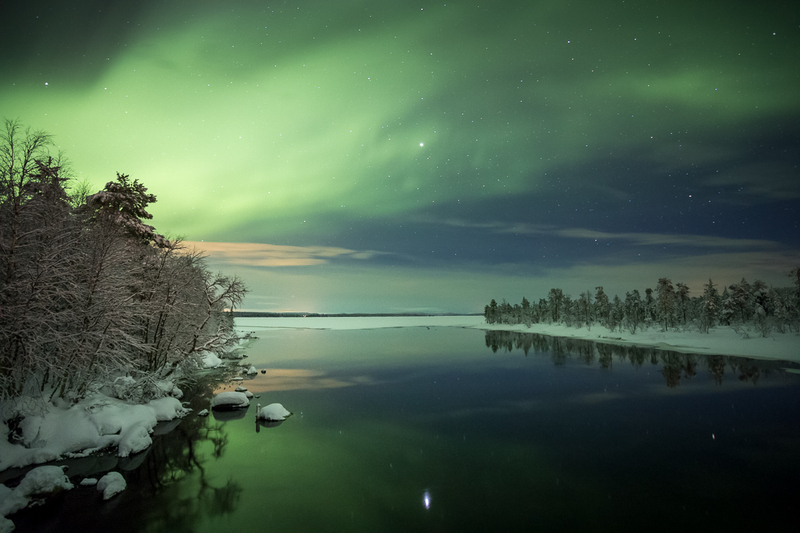 Sudden auroras over lake. 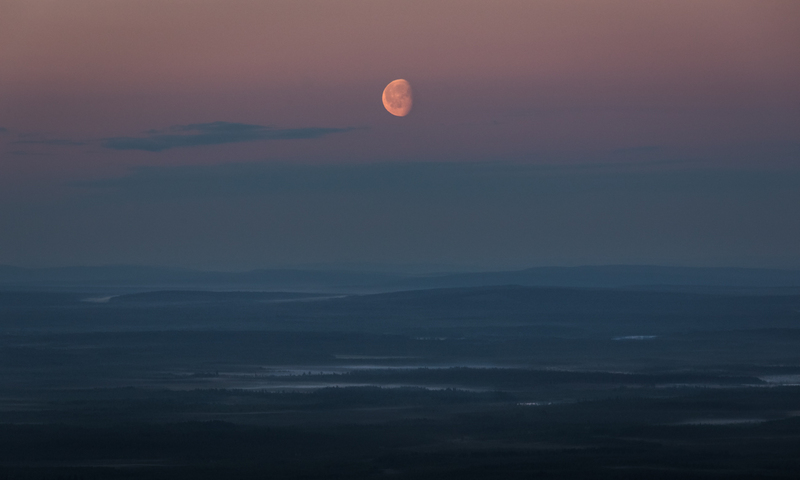 Location: Lapland, Finland. 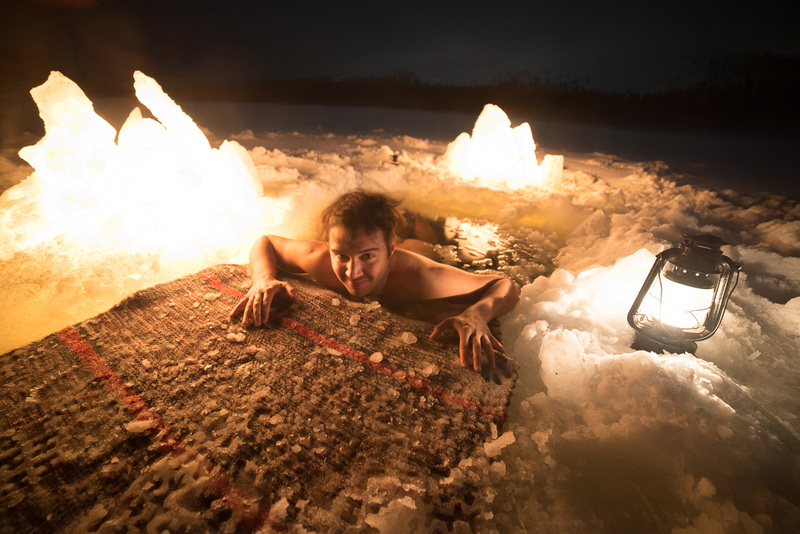 How does it feel when the temperature is below -30C? There is only one way to describe it: it feels cold, at first, but then after you’re getting warmer you realize it becomes the thing you’ve been missing your whole life. After ten hour drive we finally reach our destination at the edge of the Pallas-Yllästunturi national park. The latter hours of driving were battling against the freezing windshield, because when the temperature drops below -25C heaters can’t keep up with the cold any longer. After getting out of the vehicle the freezing windshield was the least of our worries. We had selected our cabin carefully so we knew that after a long day we didn’t have to hike for too long. Our cabin was only about half a mile away from the closest road. We were happily surprised when we noticed that the path leading to the cabin was clear and we didn’t have to walk across the snow. There was already half a meter of snow on the ground even it was only a December. It was full moon so we decided to save batteries of our headlights for later and started our walk at the moonlight. The walk to the cabin made us warm and even to sweat a bit so it was crucial to get the fire going as quickly as possible after getting over the cabin. We got lucky again since there had been somebody at the cabin few days earlier. We got nearly 20 degrees advantage comparing to the air outside as the cabin thermometer showed only -10 degrees of celsius. Even though it was only -10C inside it felt immediately warm after being outside. Third time we got lucky happened just when we were about to go back outside to make some firewood. 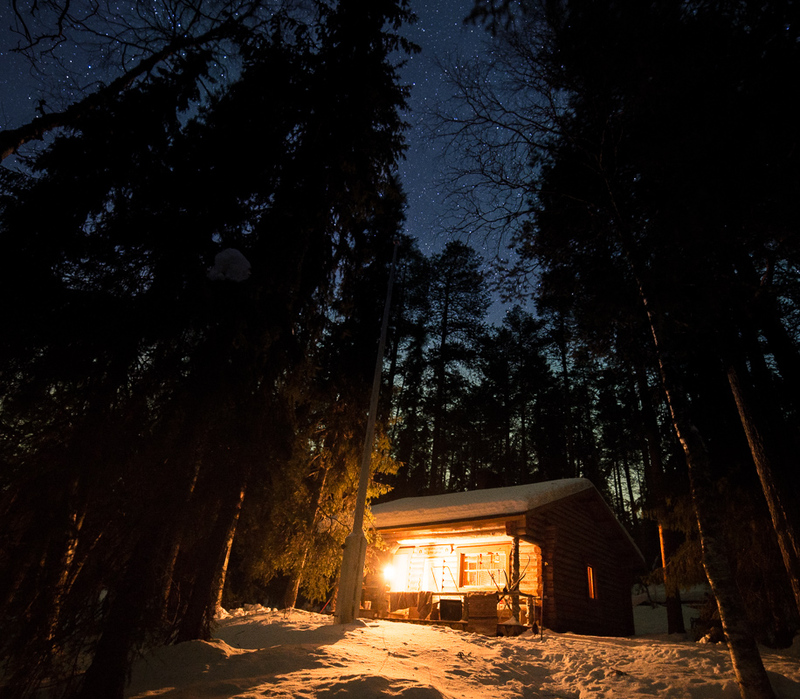 The unwritten rule of these deserted cabins says that leave some firewood ready for the next one: Next to the fireplace were laying two stacks of nicely chopped firewood with some smaller ones on the top piles ready to get the fire going. We sure appreciated that this time. After few hours of working hard we finally got some time to rest. There was enough firewood to support the fire over night, candles were setting the mood just right and we got our bellies full of warm soup. Outside the cabin you were able to enjoy some subtle hints of auroras and watch how the moon light the fells around us. The only sound was cold which got the trees cracking. 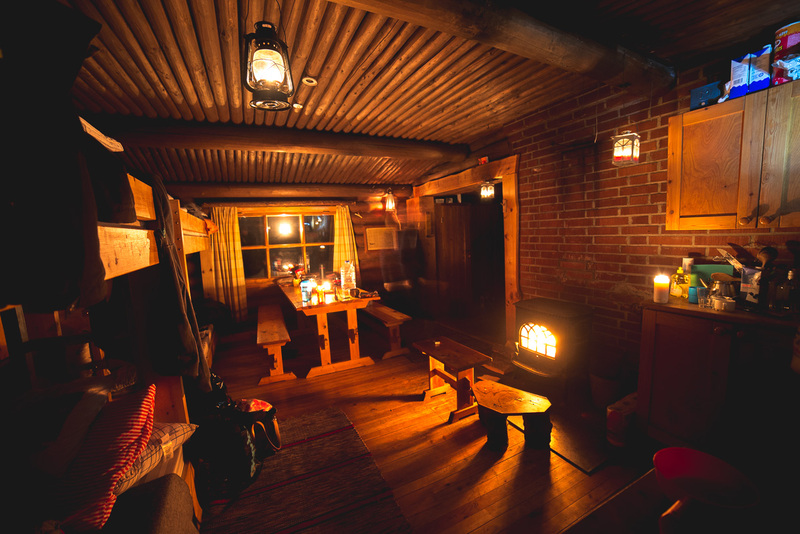 Inside it was getting warm enough to sleep in our sleeping bags as the fireplace next to us gently hummed us to sleep. Tonight we had cut our firewood to heat up the cabin, we had made a hole in the ice from where we got water, we had heated the water over the fire and made some soup to eat. We did it all ourselves and after all that work in the cold when you’re feeling warm and cozy you can really feel what you have done. And you realize that those are all the things that matter: being warm and full and surrounded by your friends. 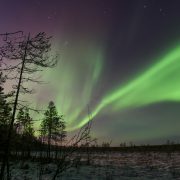 https://finlandnaturally.com/wp-content/uploads/2016/01/kesanki-2-e1453750228471.jpg 1372 3390 Jussi Judin https://finlandnaturally.com/wp-content/uploads/2016/08/finlandnaturally-logo.png Jussi Judin2017-11-16 05:00:472018-11-08 10:45:25How does it feel when the temperature is below -30C? I live in a small village in the middle of Lapland. In fact, most people who live in Lapland live in small villages. That’s because there are almost no proper cities here at all, above the arctic circle. And because there are no cities, there is no articifial light, but lots and lots of darkness in winter. 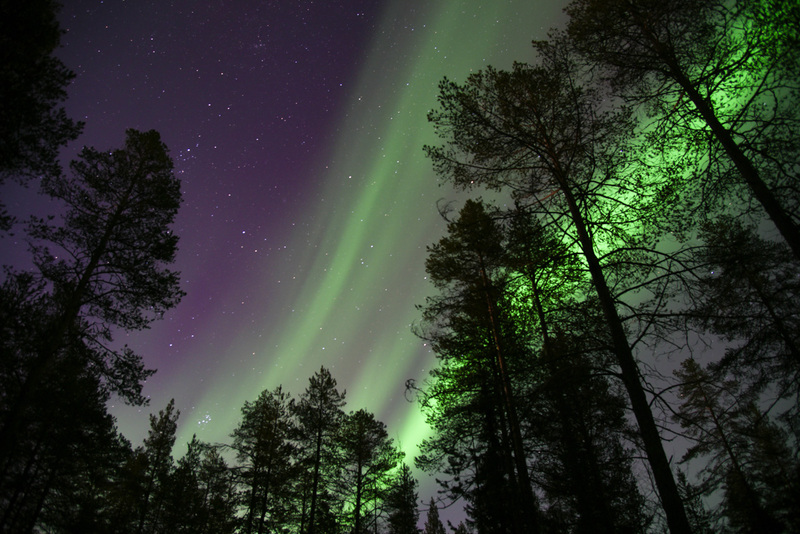 But during this darkness, the sky can sometimes set on green and purple fire. Last night I left home around 7 p.m. and walked into the forest next to our house. I had no headlamp or flashlight with me, as I knew that after a few minutes my eyes would get used to the darkness. There is a bit of snow on the ground, which helps to see the path. Also, the Moon started rising. After having walked only about a 100 meters, I saw the first flames in the sky. I sat down and looked at the auroras dancing above me. In the dark forest full of pure silence, I could hear some soft and distant rustling. At first I thought it was the aurora making that noise, as they are known to make some weird sounds sometimes. But then, as I sat there thinking about it, I realized that what I actually heard was the nearby lake freezing. The temperature was well below zero. I stood up and headed forward. I wanted to see the nearest swamp. And boy, was it beautiful. I sat down again, this time next to a small pine on the edge of the forest. I didn’t want to walk on the swamp, as it might not be fully frozen yet. It was safer to stay on dry ground. I was wearing enough clothes so I didn’t feel cold at all, even though I was sitting in snow. I could still hear the sound of the freezing lake. Then I heard a little snap behind me. I still don’t know what it was, but probably it was just a freezing tree. Trees can make popping sounds when it gets really cold. 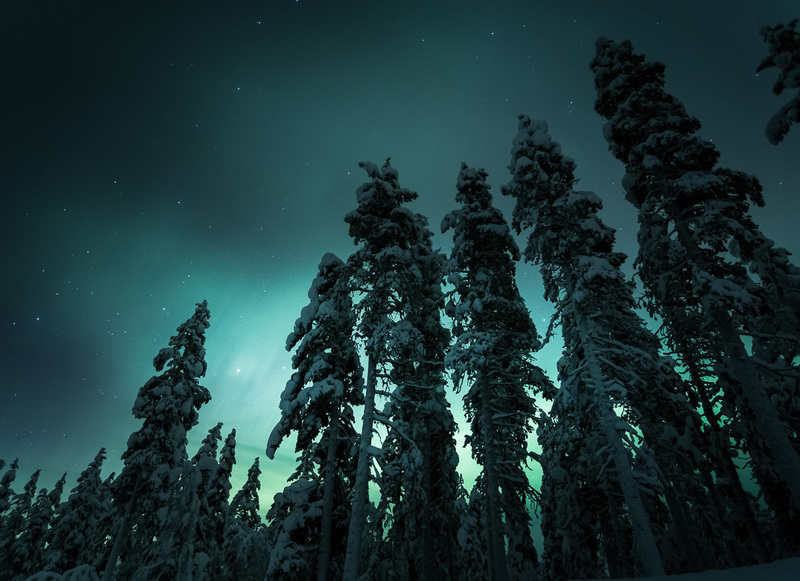 It’s such an interesting experience to walk into a dark forest in winter: you can even hear the trees. I texted my husband that everything was ok and that I was be heading home now. 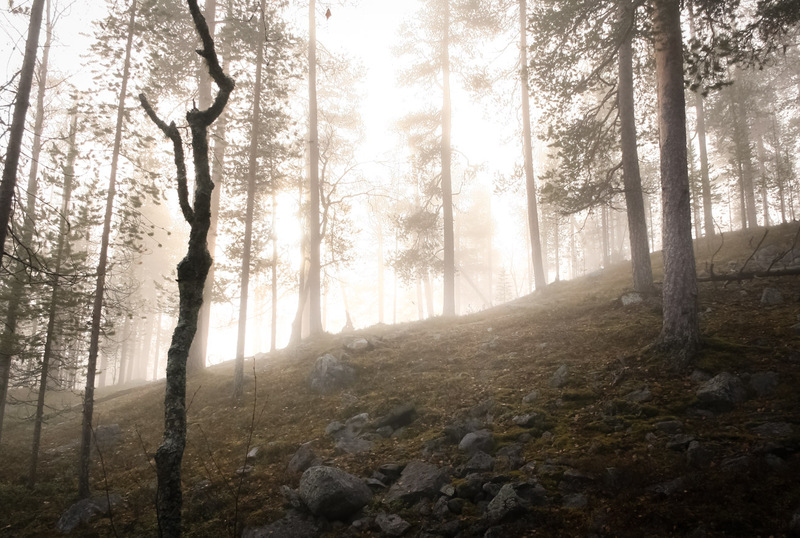 In a Finnish forest there’s really not much to be afraid of. Reindeer and moose are not dangerous, and wolves, wolverines and bears do not come anywhere near you. 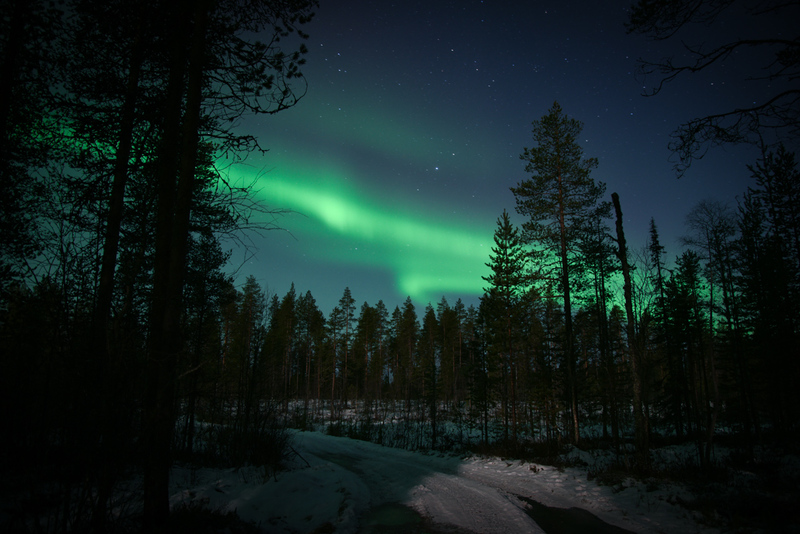 Most finns know this and that is why we love to spend time in forests, enjoying silence, pure air and sometimes also auroras. 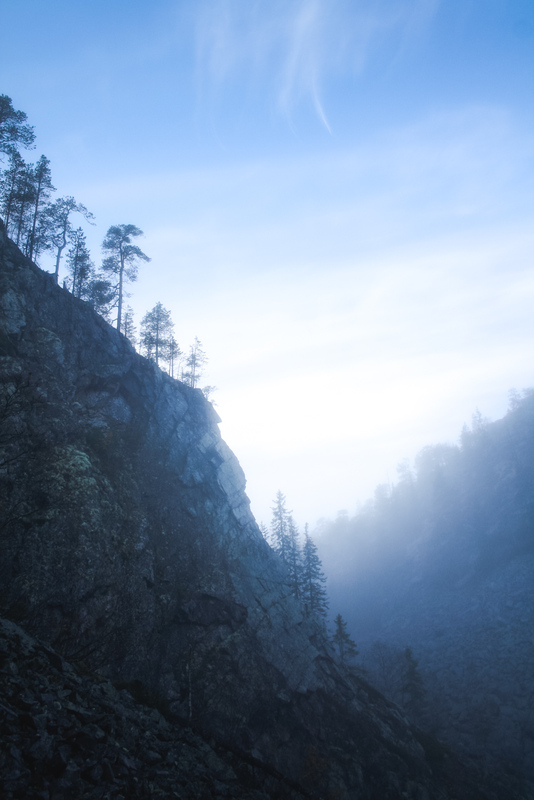 One of my favourite places in the world is Pyhä-Luosto National Park. Fells are all that is left of ancient mountains. 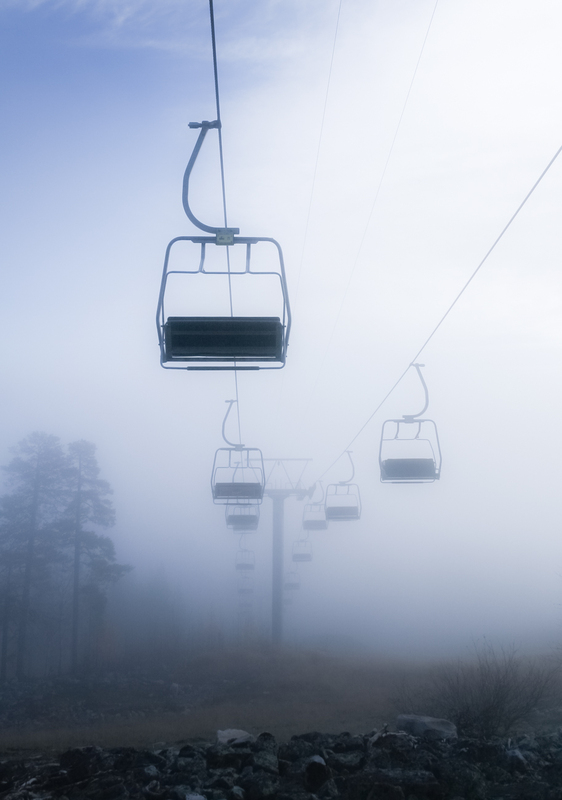 Although Pyhä-Luosto is a skiresort with extensive winter activities, I think the most magical time to visit this park is Summer or Autumn. Here are a few pictures that I have taken over the years. Autumn is the time of mystics. 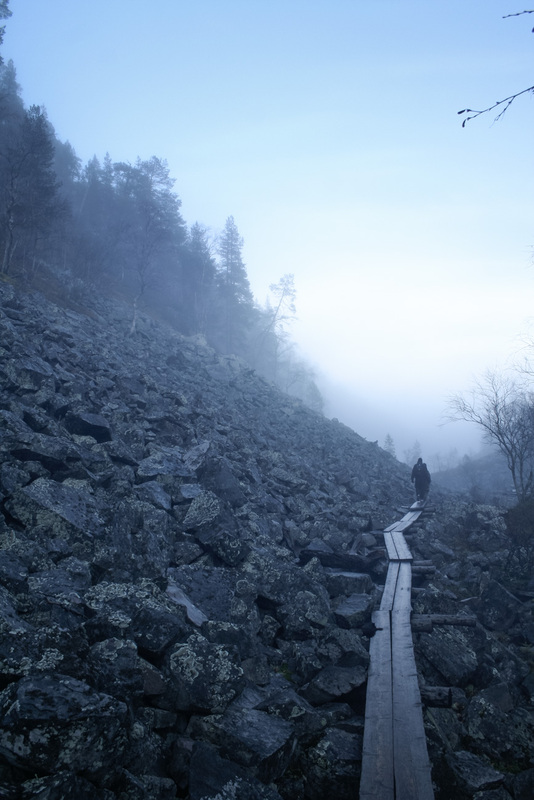 Fog and bright colors are great reasons to spend a few days in Pyhä-Luosto. On the other hand in the summer there is light 24 hours a day. 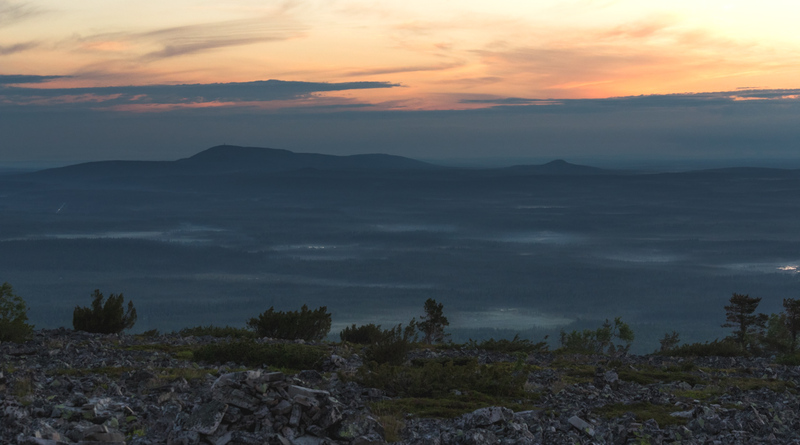 Lapland’s summer is swift but bright. Make sure you are not visiting Lapland during “räkkä” a.k.a. the worst mosquito time. End of July and August are great for hiking and mosquitos won’t bother you too much. 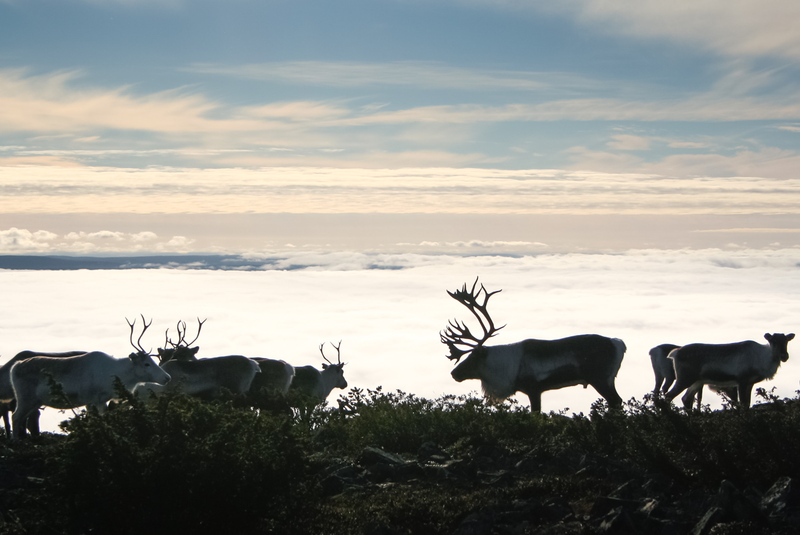 Of course in Lapland you will run into reindeer. Some times the clouds are so low that the only clear place is on top of the fells. Midnight sun, as they call it, is the opposite of polar night. Basically summer is light and winter is dark. Very dark and cold. There are sunlight only for a few hours a day, maybe not even that. 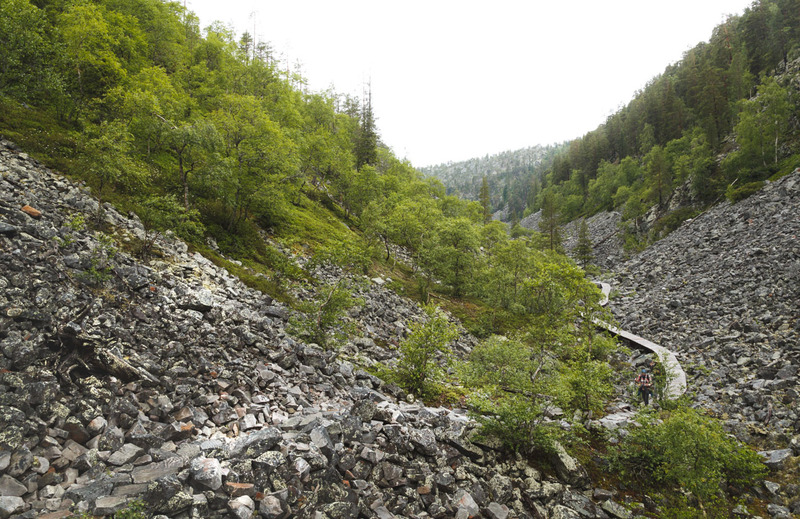 Ancient mountains have been swiped away by ice ages and erosion. This is what is left of the majestic mountains.